Next Day Delivery, fixed cost per delivery, not per product! You can buy securely online in the comfort of your home and enjoy next day delivery* on our quality landscaping products. *Next day delivery service on all orders taken before 11am, Monday to Thursday subject to availability. 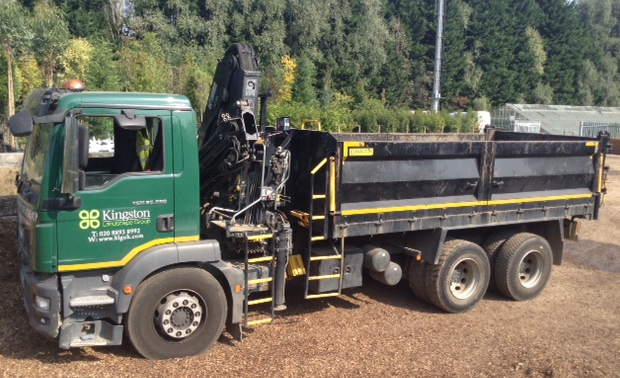 Free delivery when ordering over 160sqm of turf, alone or with any other product. Check your delivery postcode for delivery cost. Delivery charge per delivery, not per product! Materials are delivered to kerbside only. Vehicles fitted with mechanical offloading facilities may be able to place goods on customers’ premises subject to access, and only at the absolute discretion of the driver. The Otter Nursery are not liable should damage to property be incurred. Delivery vehicles will not mount the pavement. Customers are responsible for arranging for the removal of goods deposited on the public highway. No claims may be made in the event of The Otter Nursery being unable to make delivery on a specific day or part of day. All goods and quantities are checked before leaving the site. Customers are requested to make certain for themselves, upon delivery, that materials ordered are to their exact requirements. Goods found to be surplus to requirements may not be returned for exchange, credit of refund. Wow! Next Day Delivery available, order by 10 AM.